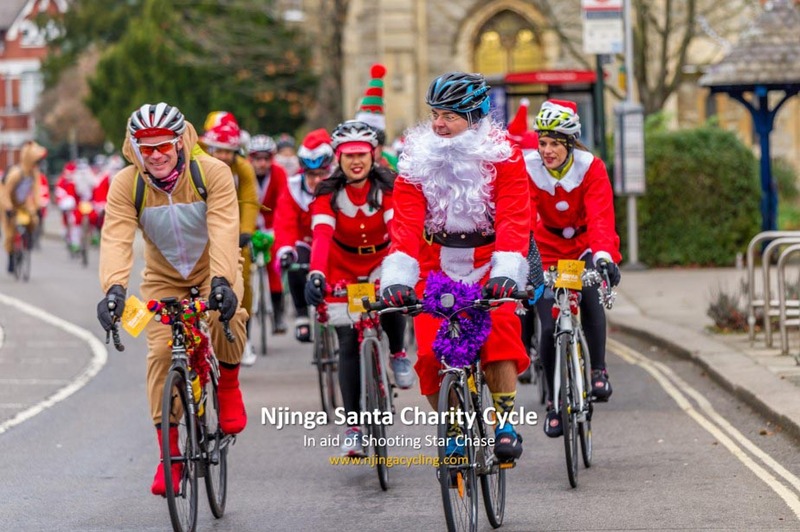 Help spread a little joy and festive spirit this Christmas time by joining over 100 cycling Santas for Njinga’s FREE Santa Charity Cycle in aid of the Shooting Star Chase Children’s Hospice. Njinga Cycling are hosting their 6th Annual Charity Santa Cycle on Saturday 1st December starting in Richmond. 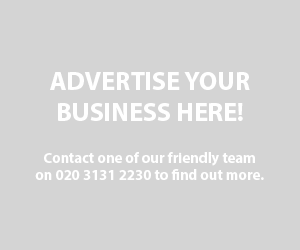 After the huge success of their 5 previous Santa charity cycles, they are back bigger than ever this year once again helping to spread the Christmas joy to all the children at the Shooting Star Chase Children’s Hospice. On Saturday 1st December from 08h00, the Njinga led Santas will be cycling a social and relaxed 20km from Whole Foods in Richmond to the Children’s hospice in Hampton, delivering 100s of presents to the deserving children who won’t be able to leave the hospice over the Christmas period. The group will then be led back by the reindeer ride captains to The Turks Head in St Margarets for complimentary post ride snacks and refreshments along with entertainment from a live band. Join Njinga Cycling this Christmas and help spread the joy and festive spirit to the children of Shooting Star Chase Hospice. Entry is FREE, each rider will simply be responsible for buying at least one present for a child and must be wearing a Santa suit. This is a Christmas event not to be missed.